Today we want to write a blog-post about our thoughts on the movie called ``The blind side`` that we saw in our English class last week. 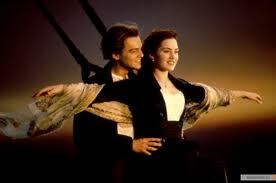 We would also share our opinions on social inequality in the movie ``Titanic``. Both of these movies contain social inequalities. 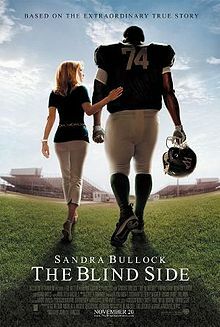 The blind side shows us how difficult it is to be a poor, young, African American boy in the city of Tennessee, and how difficult it is to get help in the community that is characterized by white and rich people. Compared to the movie Titanic, there were only ``white`` people but in the 20`s there was a big difference between various social groups. Those kind of films make people aware that the social inequality still exists even though we live in 21st century. We think that there are both positive and negative sides of it. What would it be like if a rich group of people was hanging out with poor people in the rich people district? It would be embarrassing for both parts. The poor people wouldn't be able to feel confident around people who are more wealthy than them, and vice verse. Titanic is a movie about a poor guy who fell in love with a women who is about to marry a rich man. She has to marry him to ensure the future of her family. Even though there was a big difference between their economic situation, when love strikes, nothing is impossible. Unfortunately they where not able to share their life's together, because of the gigantic accident. Have you ever seen Titanic or blind side? What are your thoughts about social inequalities ? Interesting comparison! I have seen both movies and I do prefer the blind side, but I agree they both show social inequality.